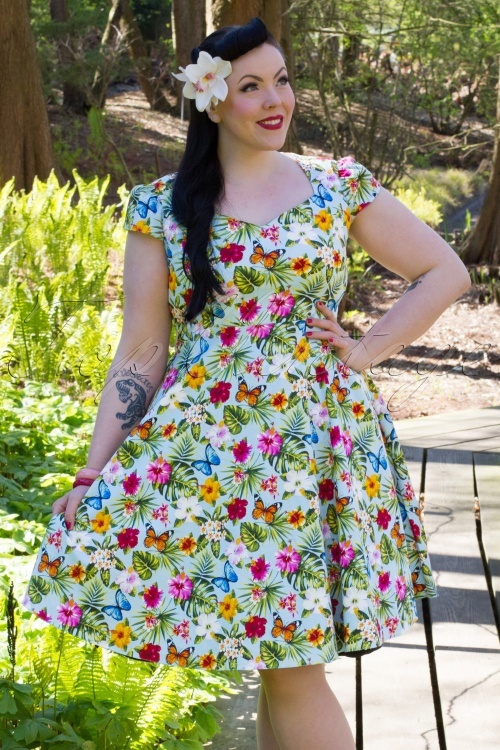 You're totally ready for summer with this 50s Evie Summer Floral Swing Dress! 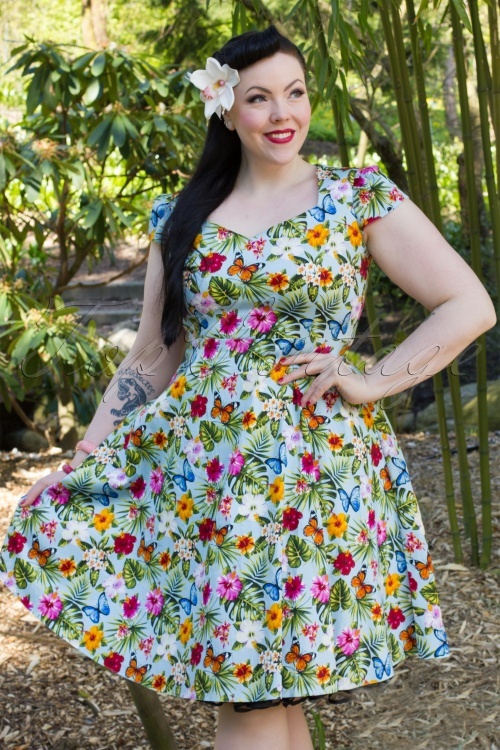 Lady Voluptuous is a British vintage-inspired plussize brand which designs and produces their clothes in London and is created in collaboration with Georgina Home, from the blog Fuller Figure Fuller Bust! 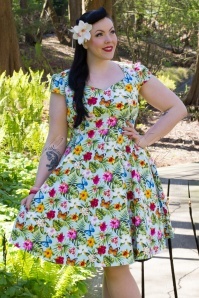 This flared dress features a diamond shaped neckline and flattering cap sleeves. The fitted top in combination with the flared skirt gives you a super feminine silhouette, oh la la. Made from a comfortable, light blue cotton blend with a light stretch and a stunning, colourful print for a perfect fit. Bloom and blossom with Evie! Mooie, zomerse jurk. Alleen jammer dat de meeste jurken zo verschrikkelijk kreukelig zijn. 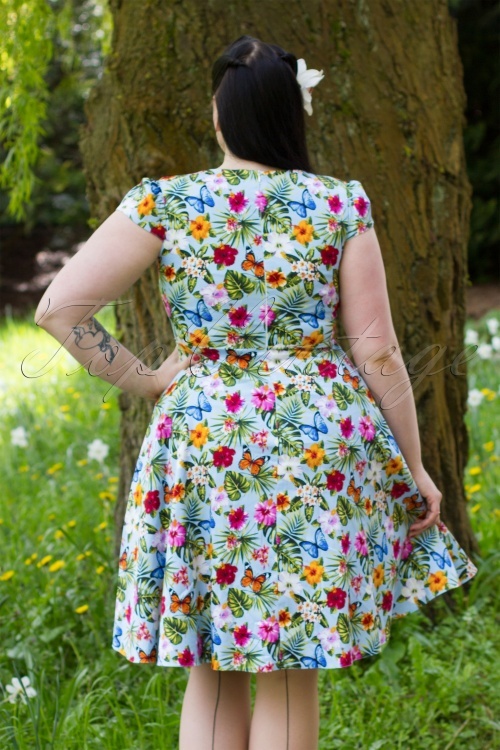 Voor de rest is Top Vintage super! goede klantvriendelijkheid en altijd leuk kado!